Bob Malmström has signed exclusively with Elitbolaget covering booking, management and publishing arrangements. In the arrangement Elitbolaget has purchased the remaining inventory of "Punkens framtid" and "Vi kommer i krig" CD albums from Playground Music Finland. 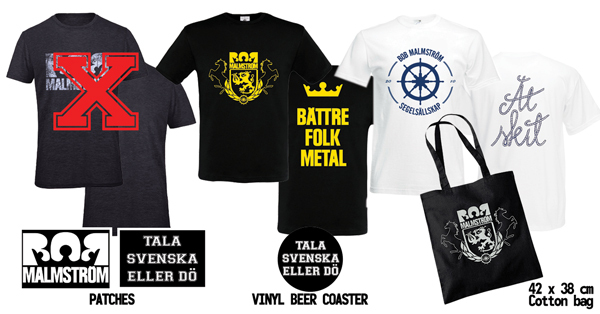 Contact elitbolaget@gmail.com or +358 40 5709 066 / Matias Löfman if you are interested in reselling Bob Malmström items. Contact +358 40 589 9092 / Kjell Simosas for booking inquiries. Bob Malmström's R&D has been working hard on market analysis and simulation runs on different publishing scenarios. The years of hard labor have produced the crown jewel of 2019 "Länge leve Bob Malmström" and it's packaged into EP format scheduled for release April 5th 2019. The EP is the epitome of digital age formats and suits even the high-paced modern Spotify-user. As physical format sales are in a rapid downward spiral the R&D department chose the next hit format; C-cassette. In today's hyper-globalization environment this is a unique "Made in Finland" package to suit even the pickiest vintage crafts appreciators. The limited pressing can be bought in advance from Recordshop-X (ships globally). The content has been under equal scrutiny; the EP kicks off with a beautiful traditional Finnish-Swedish song performed by Runebergskören BSB, a local male choir from the coastal town of Borgå. The introduction is designed to tap into a new listener segment; the 50+ market. The theme of "Modersmålets sång" is also perfect to cement the emphasis of the identity building ethos of "Finlandssvenska" Bob Malmström are known for. As the copyrights for the song have expired, it is also a sound financial decision. The EP rounds up with an Irish folk -inspired version of the band's own song "Skål" from 2011. The clean singing, Anette Grevberg's violin, mellow fox comp bass, mandoline, acoustic guitars and a carneval of percussions are building blocks of this festive experience. This type of musical approach has helped sell millions of albums and is a natural choice for Bob Malmström as well. 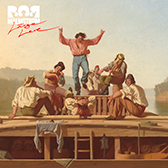 The rest of the tracks are more or less what Bob Malmström have become known for, laden with "woo-ooh:s" that helped Bad Religion become huge in the 1900's, anthemic metal epics that would make Amon Amarth blush and hectic frenzy designed for the restless human of 2019. Teemu Aalto, known for his work with Insomnium and Omnium Gatherum, is responsible for the production. The R&D department gives "Länge leve Bob Malmström" a 99,995% change of moderate to heavy success. Bob Malmström heads on a live rampage in support of the album to entertain both the champange drinkers and the anti-aristocrats of Europe. Get in your buying pants, put a cassette in yourp pocket and head to the venues 1-2-3-GO!